Back from the United Nations’ annual climate talks, Tuck students share their perspective. For the fourth time in five years, a student delegation from Tuck attended the annual United Nations Climate Change Conference, also known as The Conference of the Parties (COP19). T’14s Harrison Kahn, Difu Li, and Brian McKenzie blogged about their experience at last month’s Warsaw summit, which is intended to reach a global agreement to address climate change. Here, Li and McKenzie share some additional perspective on their experience. 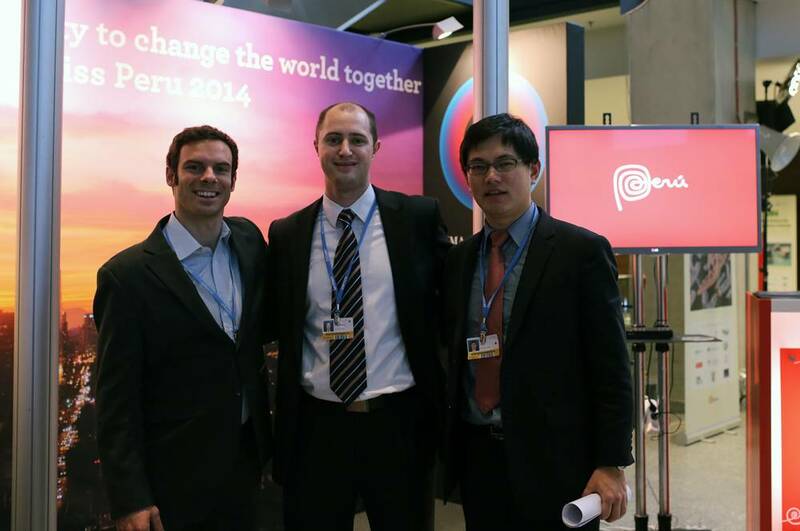 Why is it important for business school students to take part in an event like COP19? Difu Lu: Climate change will affect the majority of industries and therefore the majority of business school graduates. Attending events like COP19 helps b-school students to further understand these negotiations as well as seek feasible solutions to address climate-change-related challenges. These events are also great networking opportunities—we met sustainability officers from several leading multinational corporations and learned how they are now incorporating carbon as one of the externalities into their business model. How will climate change policies shape the world of business? DL: Policies to price carbon will be expected in the next few years. Although the progress is slower than expected at the international level, we do see significant achievement at the subnational or city level. Whether carbon will be priced via emission trading system or carbon tax, the business world should begin the preparation today for the policy implementation of carbon tomorrow. BM: I firmly believe that we will achieve a global treaty on climate change in the near future, and I’m hopeful that it will happen at COP21 in Paris in 2015. When a treaty is reached, it will require domestic enabling legislation in each and every country that ratifies the treaty. This legislation will include a package of domestic policies including performance standards governing fuel and energy efficiency, as well as incentives for investment in low-carbon sources of energy. I also don’t envision any future that will not involve some sort of price on carbon, be it through a cap-and-trade system or a straight tax. That, more than anything, will influence how companies invest, operate, and make choices about where they will compete. How does your specific nationality inform your perspective on the issue of climate change? DL: As a Chinese citizen, I do understand the way the Chinese government behaves and its history. At COP19, I attended side events in the China Pavilion to learn the process of China’s efforts in climate change. It’s easier for me to have conversations with the representatives from China to have more insight, but I don’t think my view is limited due to my nationality. What I learned from Tuck is a global mindset and I did not limit myself to issues with China only. By attending additional events organized by the European Union, Japan, the U.S., and other international organizations, I was exposed to different points of view, and I value these diversified opinions. BM: As a Canadian, it’s often difficult to comprehend the impact of climate change today. Canada is an extremely large country geographically, well endowed with mineral resources, water, and agricultural land. And with a small population, Canadians don’t feel the effects of climate change as many around the world do. Attending a conference like this and hearing from leaders from the Philippines, which was just devastated by a typhoon, and from leaders of island nations worried about rising sea levels motivates me to recommit myself to battling climate change at home. How will your experience at COP19 impact the remainder of your time at Tuck? DL: Brian and I will help finance professor Anant Sundaram write a case about sustainability, and our experience from COP19 will help us further understand the issue and [inform that process]. The connections I made during the conference will help me to invite visitors to the Business & Society Conference or to Professor Sundaram’s Business and Climate Change elective. The key takeaway, though, is that time is limited for the world to solve climate change. We should not wait for solutions from national level negotiations because by the time [they are instituted] it may be too late. Subnational and business initiatives need to move forward now to address climate change. Finally, adaptation strategy should be placed in higher priority compared to mitigation for the next five years. BM: I will definitely devote more time to learning about how I, as a future business leader, can create and implement sustainable practices in the companies I will be a part of. I also plan to spend more time sharing ideas surrounding climate change with my classmates. Tuckies in general are filled with hope about the future, and I think with a bit more education on climate change and sustainability, they can make a real difference in the fight against climate change.